Inner and outer pockets, leather handle grips, adjustable and removable shoulder strap – Broadwick means business. 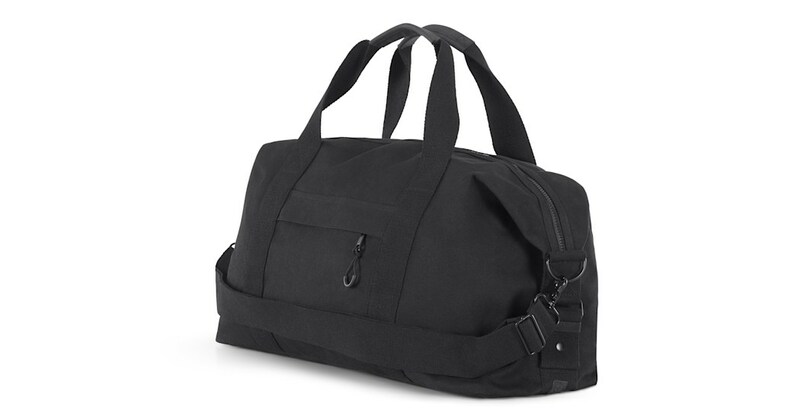 It's great for travel or everyday use, made of hardy, waxed cotton. You're busy. We get it. We've got you. Our bags are for busy people: choose backpack style for the office or gym, or long-strapped overnight style if your weekend is away from home. They're 100% cotton, with a wax finish that makes them water resistant. Broadwick's form is perfectly designed – choose from hand straps or the removable shoulder strap. It zips closed up top, and the colour's eye-catching in all-black everything.